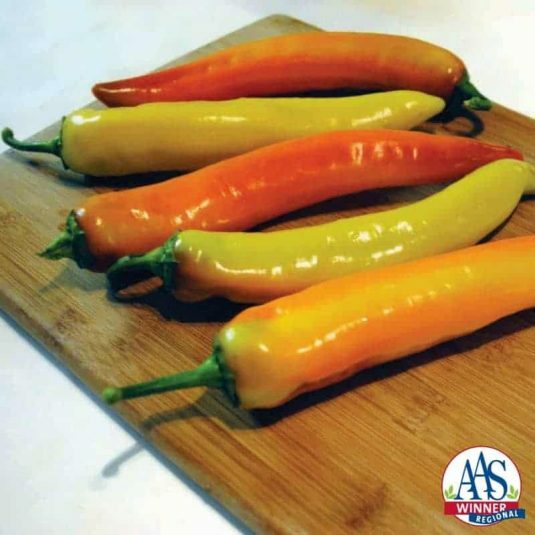 For banana or wax pepper lovers who desire a prolific and earlier harvest of delicious and spicy (650 Scoville units) fruits, Hot Sunset is for you. 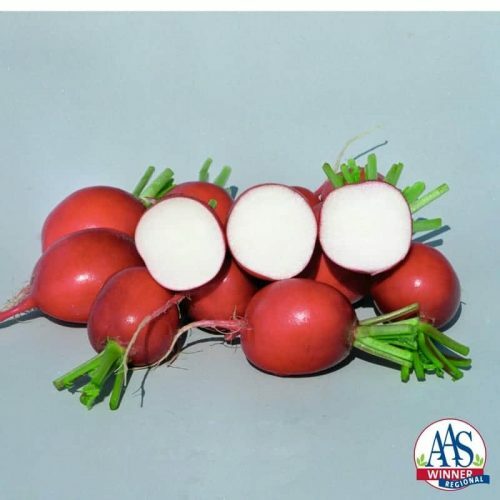 Large, healthy, vigorous plants are disease-free and produce tasty and attractive fruits all season long. 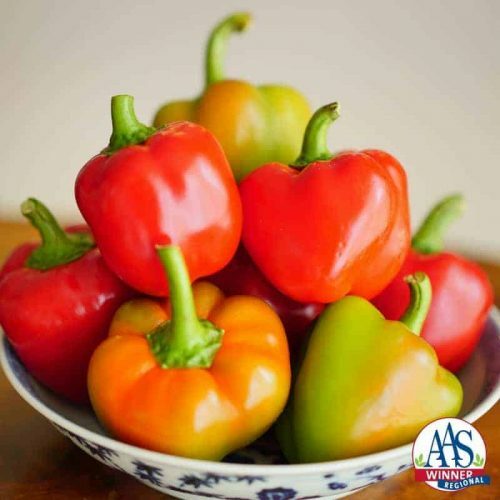 The AAS Trial judges noted what a great taste this thick-walled pepper has, not like other hot peppers where all you get is heat. We think this tasty morsel should be featured on a TV cooking show where chefs compete to bring out the best in this goodie, whether it’s prepared fresh, grilled, roasted or pickled, it’s sure to win over even the most particular foodie! Fertilize well. No staking needed.